15% off your $30+ order. Add the coupon and save. Enter your code and you'll save immediately. Spend $50 or more and add this code to save ten dollars off your order. Spend $30 or more and add this code. 15% off when you sign up for alerts. Add your email and you'll save 15% off your purchase. Up to 40% off best selling books. Bestsellers - at the best prices. Check Out Books a Million's Free shipping Offer! Join the Millionaire's Club and receive free shipping, exclusives, etc. $5 only - big selection. Looking for that rare record? You found the right place. Up to 50% off recent goodies. Recent Bestsellers & Autographed Editions. Buy 2, get your 3rd audio book free of charge. Cookbook sale - Buy 1, Get 1 50% off. Time to start collecting those thoughts with a new journal. 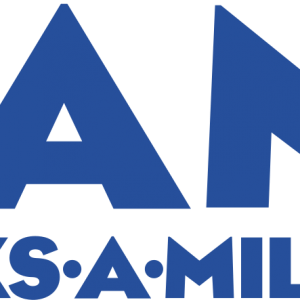 Books-A-Million, Inc., also recognized by the abbreviation of their name, “BAM!”, is second biggest chain of bookstores in the United States by retail size, with a total of 260 physical stores in 32 American states. Besides selling books, magazines, toys, gifts, technology gadgets and collectible items, Books-A-Million owns the “Yogurt Mountain Holding” as well, a retailer specialized in frozen yogurt, having 40 locations across the United States. Books-A-Million also owns the American Wholesale Book Company (AWBC) – their e-commerce operations division, in addition to “NetCentral”, a company specializing in internet development and related services. The majority of stores host “Joe Muggs” cafés, along with coffee and espresso bars, and the average store size ranges from 4,000 to 30,000 square feet. Books-A-Million was originally founded as a simple newsstand without a formal name, in the year of 1917, in the city of Florence, Alabama. Some years later, in 1950, it had grown it a full fledged bookstore with the name of “Bookland”, and Charles Anderson expanded it into a bookstore chain. In 1980, the chain already had 50 stores, and some 8 years later, Bookland acquired a retail chain called “Gateway Books” that was based in Knoxville, Tennessee. Then in the year of 1992, Bookland became Books-A-Million, and also turned into a public company on the stock market. And finally in the 1998, the website booksamillion.com was launched. In December of 2015, Books-A-Million was formally acquired by Clyde B. Anderson, who at the time was the chairman, for the price of 21 million dollars; He is now currently both chairman and owner of Books-A-Million. Using Books-A-Million’s coupon codes on their site is extremely easy, simply add the items you wish to buy into the virtual shopping cart; When done, click on the checkout button, and proceed to either sign in to your account if you are already a registered customer, or if it is your first time on the site, click on “Set up a new account” to register. Once done registering and/or signing in, you will be redirected to the page with billing details, and after confirming all the details are correct, you will be able to insert the coupon code in the billing page. Books-A-Million is present on all major social networks. On Facebook, you can find them at www.facebook.com/booksamillion. Everyday, Books-A-Million posts the latest offers and exclusive deals; You may also contact them there through messaging, they typically reply within the same day. Books-A-Million can also be found at Twitter; Follow them through www.twitter.com/booksamillion. If you need to reach their customer service there, simply tweet @BAMSupport. Do follow them on Instagram as well, you will find the newest releases featured in the coolest photos and images there! And if you are looking for personalized reading suggestions, publisher’s news, author spotlights, latest announcements and reviews, find all of this in one single place: The Books-A-Million “Chapters” blog, at https://blog.booksamillion.com. For the majority of items, there is the possibility of return and refund within 30 days from the date the item was ordered. To return the item physically to the nearest store, log into your account, go to the “details” section of the order and click on “return to store” to print the receipt; If the return to store option is not available, it means the purchase you made is not eligible to physically return it to a store. To return an order by mail, you should first write an email to the customer service department explaining in detail the ID number of the order, reason for return and the item, or items you are returning. This email will be answered back within 24 hours, containing the return authorization number and return label; Next, you may pack up the item, or items that you will be returning, and attach a copy of the packing slip and also the label that was delivered to you in the email, properly post and ship the package. As soon as the package arrives in the Returns Department’s warehouse, the receipt will be scanned and your credit refunded within 24 hours. Do note, however, that all charges related to shipping and handling are non-refundable, and a re-stocking fee of 10% may apply to special or large orders.